Last night we all went to an art gallery. There was classical music, an eclectic crowd, mixed media...you know the normal art gallery scene. What? You didn't think we were art gallery people? Okay, you might be right. But we did indeed find ourselves smack dab in the middle of some amazing art. Sure the classical music was a sweet 10-year-old on the piano and the eclectic crowd was elementary school kids and their families. And I might have spent half my time making sure JT didn't knock over anyone's artwork and part of the time making sure Wade didn't punch anyone like he did Lucy right before we walked inside. But who cares? The rest of the time I/we marveled at the pictures, drawings, paintings, sculptures and beauty and talent and self-expression everywhere. 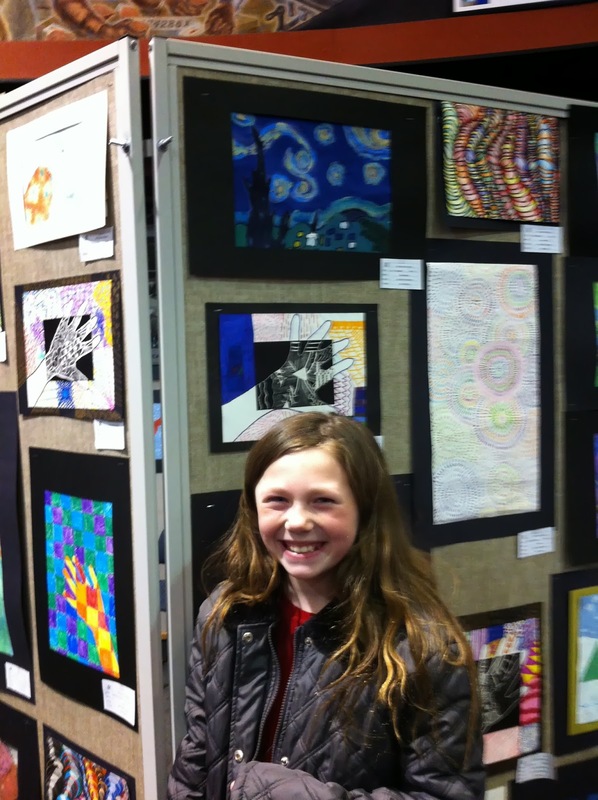 Lucy's picture was chosen to be displayed at the district-wide art show. That's why we found ourselves out on a cold, snowy March night admiring art. So proud of our little artist Lucy. That's her Starry Night interpretation on display. Woot. Woot. The artwork was so good. I was really impressed. "I would buy that," I told my husband about some of the high schooler's work. It made me want to go home and buy art, decorate the walls, add color and shapes and meaning and self-expression everywhere. Due to my lack of any kind of art budget, I figured my inspiration for new art would be destined to fill only a Pinterest board, not any of my walls. 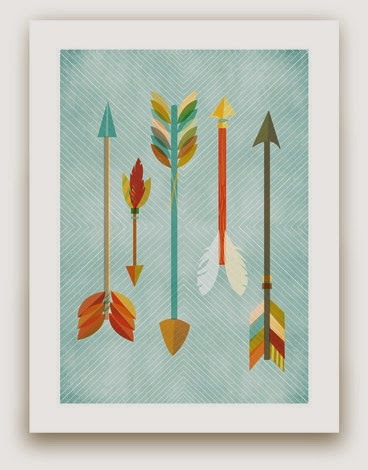 But then I found the new print collection at Minted.com. And I fell in love. To be honest, I thought Minted was only about invitations and announcements, but it's not. They have original prints, photography, custom/personalized artwork and more. The prices are reasonable and it is all very artsy and quite frankly, cool. I love this print called Tapestry. 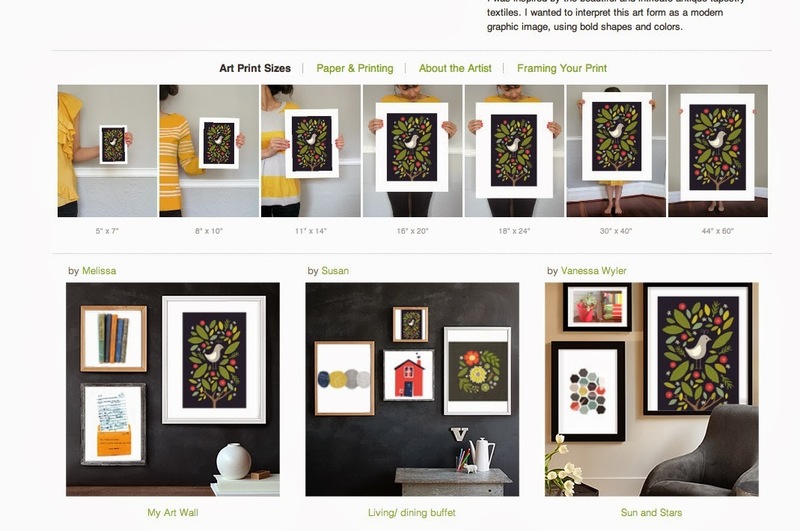 Another reason I like Minted is because they help an art-inspired mama out. The site visually sizes up what each print looks like. With the click of a mouse you can change the colors in a picture to see what the print will look like with pink flowers instead of red or a yellow background instead of brown. 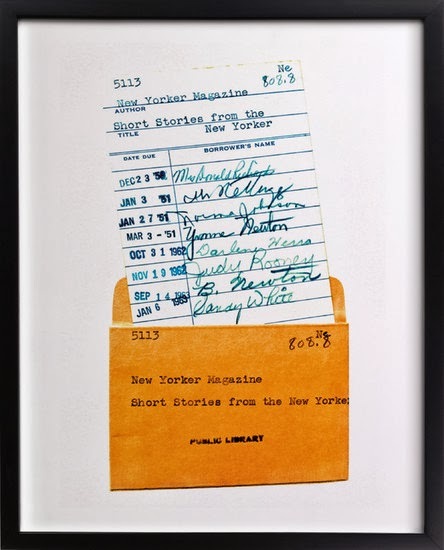 You can also click on different framing options to get an idea of what your print would look like with a black standard frame or with a distressed charcoal stain frame. But my favorite feature on the site is the examples of art walls. It's like going to an art show without bundling up your four cranky kids on a snowy night in March and hoping they don't beat each other up or knock over someone's painting. You can click through the art wall examples and marvel at the groupings and the art and the colors and the wow of it all. Then you can buy what you like, with prices starting as low as $20. It's kind of brilliant. Aren't they cool? All the pieces are available on a choice of museum quality cotton rag archival paper with archival ink or acid and lignin-free paper with deluxe pigment ink. 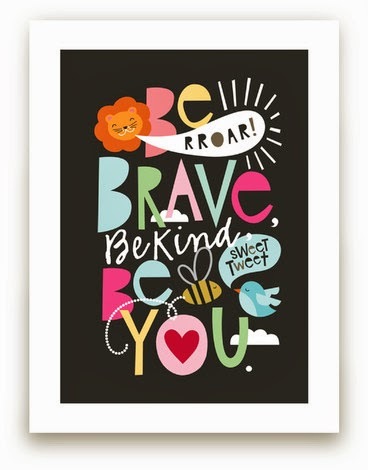 Minted's wall art is available in a range of colorways and styles and is available framed or unframed. Each art print comes with an artist’s card containing the artist’s statement and certificate of authenticity. 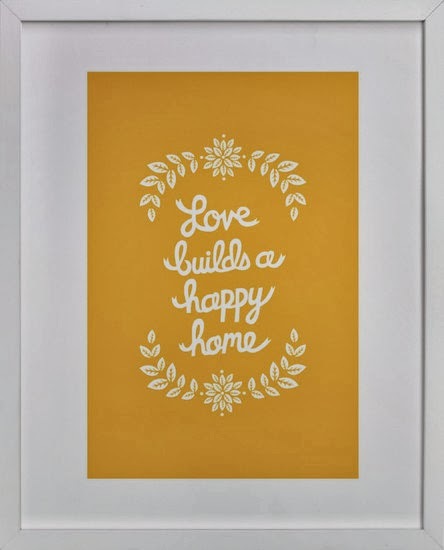 Click here to check out the entire print collection at Minted. I was not financially compensated for this post. 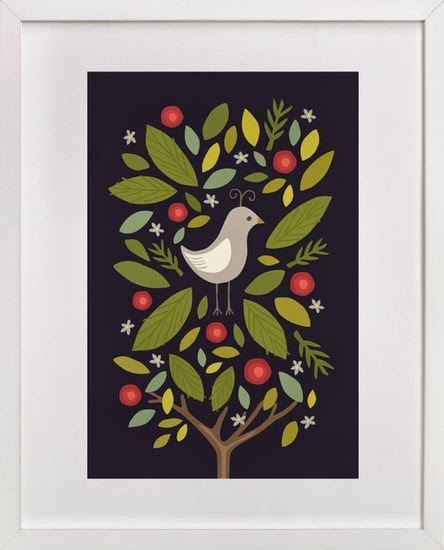 I did receive a credit from Minted. The content and opinions expressed here are all my own. 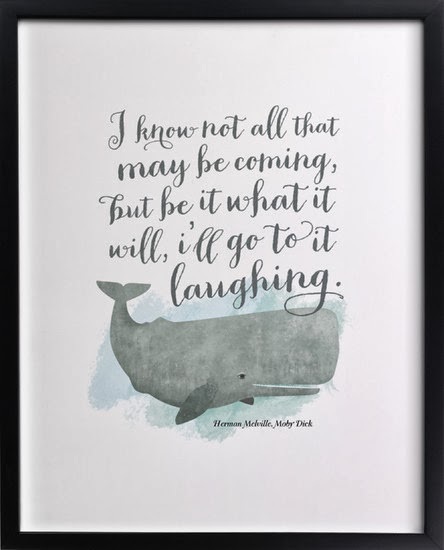 Those quote prints really are very cool. Awesome! 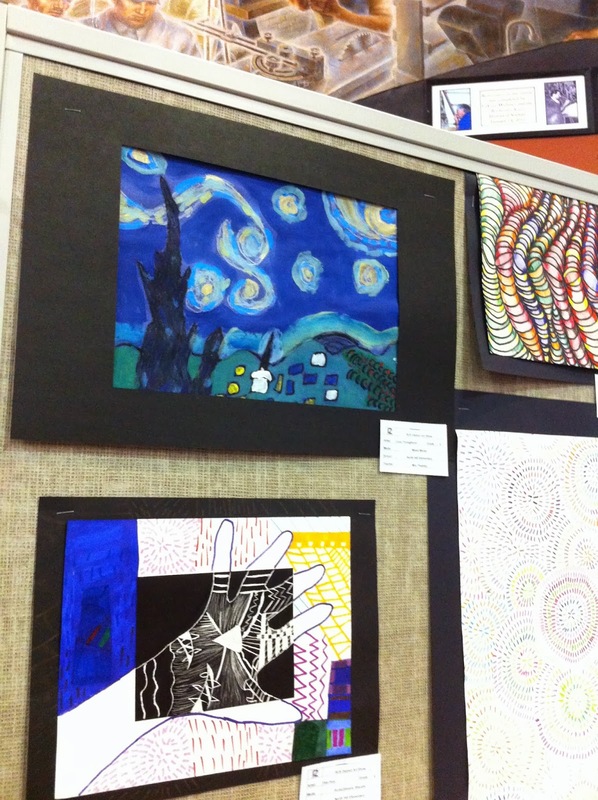 I loooove school art shows. We frame a lot of kid art around here. One of my favorite things is to looks at art online. I will have to check out the Minted prints.